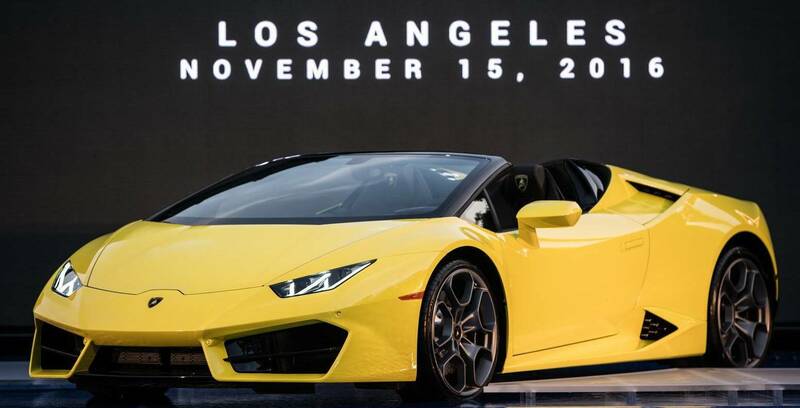 Lamborghini has brought in the final iteration of the Huracan in the form of an RWD Spyder as the company has launched Lamborghini Huracan Spyder RWD in the Indian market. The new Lamborghini Huracan RWD Spyder is now available in India for a price starting from Rs 3.45 crore (Ex-showroom, New Delhi). Lamborghini’s new Huracan RWD Spyder is the drop-top version of the Huracan RWD coupe. The Huracan RWD Spyder is also called as Lamborghini Huracan LP580-2 Spyder and was first unveiled at the 2016 Los Angeles Motor Show. The RWD Spyder adds to the current range of Huracan that comes in Coupe, Spyder AWD and Avio iterations. Moreover, the RWD Spyder is the fifth variant of the Lamborghini Huracan range in India. Lamborghini sells the Huracan Coupe, Huracan Spyder, Huracan RWD Coupe and Huracan Avio in India. The front and rear of the Huracan RWD Spyder have been redesigned, with large front air intakes that direct cooling air and headwind to increase down pressure on the front axle. Pirelli PZero tires, exclusively developed for the rear-wheel drive Huracan, sit on 19″ Kari rims. Specially contoured steel brakes with the aluminium brake disc pots assist in weight reduction and improved cooling. The interiors of the Huracan RWD Spyder were developed to provide both ample space and exceptional comfort. The cockpit features the latest Lamborghini Infotainment system II with a 12.3-inch hi-res TFT instrument panel. The Lamborghini Huracan Spyder RWD runs on 245/35 R19 front and 305/35 R19 rear Pirelli PZero tyres that are specially designed for this model. Doing the braking duties are the large 365mm/356mm front/rear discs. The Lamborghini Huracan RWD Spyder will come with a 5.2-litre V10 beast, Multi Point Injection)+ DSI diesel engine that produces a mammoth 571BHP of maximum power. Also, It makes 580PS at 8,000rpm and generates a torque of 540Nm at 6,500rpm, mated to a seven-speed Dual clutch gearbox LDF (Lamborghini Doppia Frizione). The Huracan RWD Spyder will come with rear wheel drive system with rear mechanical self-locking differential. The Italian supercar manufacturer states that the Huracan RWD can do 0 to 100kmph in 3.6 seconds and reach a maximum speed of 319kmph. 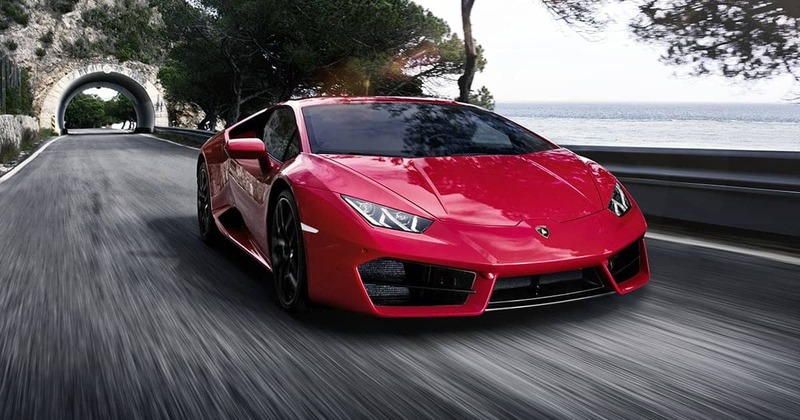 As mentioned by Lamborghini, the Huracan Spyder RWD can be brought to a standstill from 100kmph in 31.9m. The electronic drive modes such as Strada, Corsa and Sport are offered on this iteration as well. With the change in mode, one basically alters the engine, steering, transmission responses along with and damper settings. The Strada mode is set by default where the electronics are set for offering a comfortable ride. However, if you are in a mood to take those twisties in style, shift the knob to the Corsa mode. But then, if you land up on a track with the Huracan, make sure you are in the Sport mode. The Huracan RWD Spyder comes with a wheelbase of 2620mm and is 4459 mm in length, 1924mm in width, 1180mm in height and has a fuel efficiency of 12.1kmpl. Talking about the Competition, the Lamborghini Huracan RWD Spyder will compete against the likes of Ferrari FF, BMW i8 and Audi R8 in India.